Earlier this year, on a quiet Sunday night, my colleague Jack and I found the fastest-growing supermassive black hole in the known Universe. We were fortunate to be part of the team that made one of the greatest discoveries in astronomy this year. 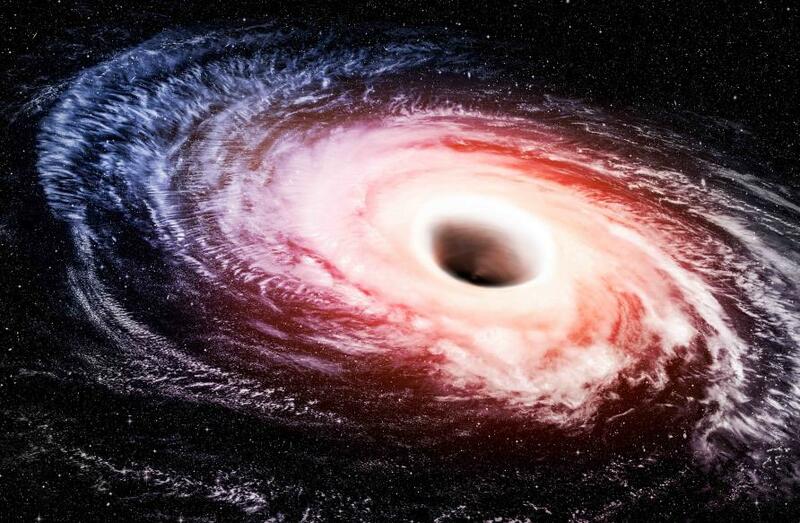 This supermassive black hole, or quasar, is 20 billion times the mass of our Sun and is 12.5 billion light years away from Earth. It expands 1 per cent every million years and it devours a mass equivalent to our Sun every two days. Officially, it is called SMSS J215728.21-360215.1, but we call it the hungry monster. The ‘we’ that made the discovery was a small team led by Australian National University astronomer Dr Christian Wolf and his team, and included two postgraduate students from the University of Melbourne, Jack Hon and myself. 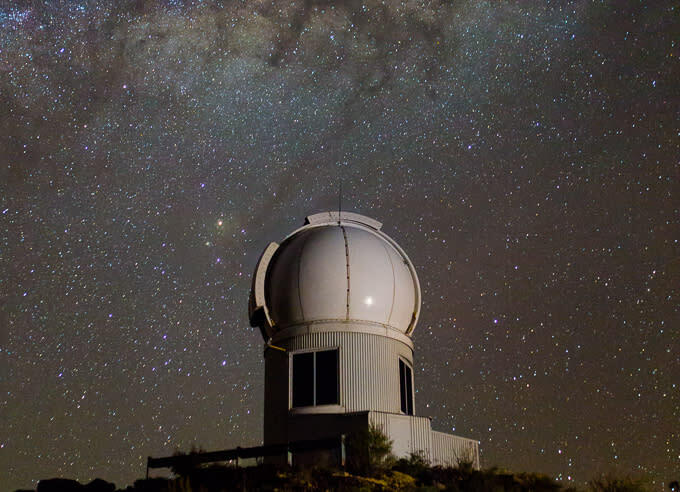 Jack and I were the first to see the hungry monster, sitting in our office in the School of Physics at the University of Melbourne after midnight on a Sunday night, remotely guiding a 2.3 metre telescope at the Siding Springs observatory in New South Wales, Australia. Usually, we are told about our next observing run at least 3 months in advance. This gives us time get the lists of the targets (quasar candidates) and to make sure our computers and communication lines to the telescope are ready, because we do all of our observing remotely. But this time, we were only told the night before, which was Saturday. So, after cancelling all weekend plans, and apologising to my children for postponing a promised trip to the country, we got ready to spend the next night observing the skies between 3 pm and 5 am. The main aim of our project (the SkyMapper high-redshift quasars search) is to find quasars from the early Universe in the southern sky and investigate their characteristics. 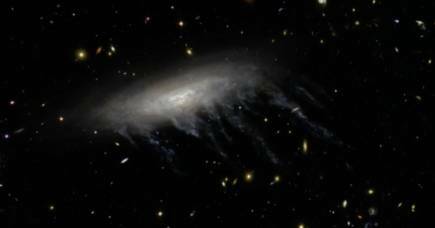 The data we use to find the quasar candidates comes from the SkyMapper Southern Sky Survey (SMSS), which is building a comprehensive digital survey of the entire southern sky. The latest data released by SMSS includes about 300 million objects. To get the list of the candidates that we are interested in, our team searches this huge amount of information using algorithms that find objects that match our criteria, like their brightness and colours. After getting a shortlist of likely candidates, we then have to confirm whether they are quasars or not. For that, we use a spectrograph on the ANU telescope. From our computer in Melbourne we remotely check the instruments on the telescope and then enter the coordinates to track the object, being careful to avoid big mistakes which could damage the telescope. Once we have our target in the field of view, we have to tell the telescope which of the many objects on screen is the one we’re interested in. 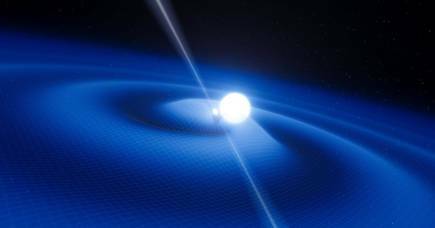 The telescope then collects the spectrum we need to determine whether or not the object is a quasar, and if so, what kind of quasar. On this particular weekend Dr Wolf had the candidate list ready by the Sunday afternoon. 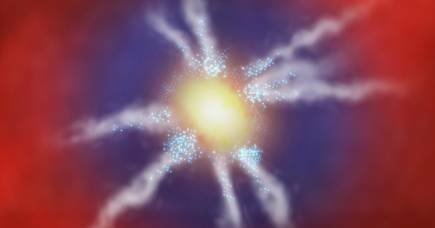 It included 12 targets that had a high probability of being high redshift quasars. And we felt confident. Any of these can prevent us from making accurate observations, or even opening the dome of the telescope. After spending hours preparing the telescope that night, there it was - a full, bright moon. It was the first time we tried to observe during the full moon, and for half the night we didn’t accomplish much. But, during the second half of the night, the moon moved away from the region we were interested in and we started working down our list of targets. This was when we found the hungry monster. We couldn’t tell immediately from the telescope field of view, where it just looks like any other bright point in the sky. But once we started analysing the spectrograph, we realised we had found something special. There were a lot of emotions. Excitement. Surprise. 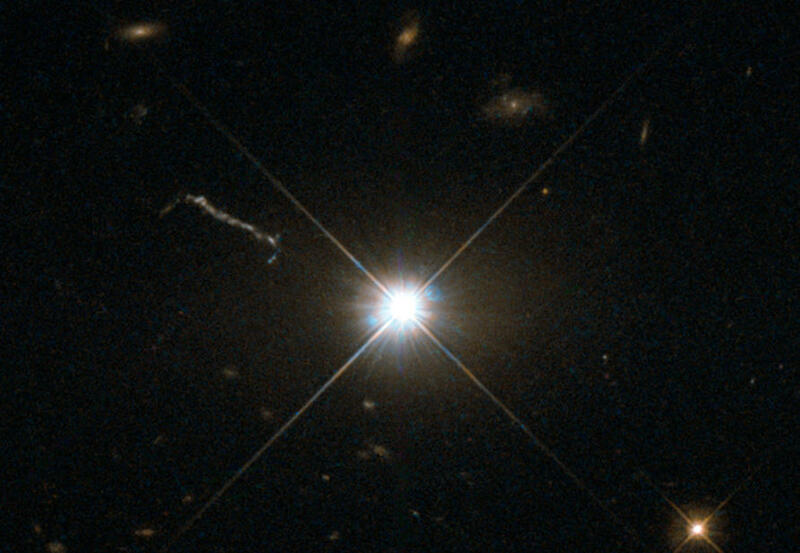 But even though we knew what we’d found was special, we didn’t actually find out until the next day that it definitely was a high redshift quasar. Dr Wolf spent that rest of the week analysing the data, doing the processing work, confirming its new features and letting us know that our hungry monster was, in fact, a brand new discovery. That Sunday night was the highlight of my career so far. But it follows a lot of preparation from a lot of people. Members of the team created the best possible list of the targets, and it has taken Jack and I several years to be trained as observers and learning how to run the telescopes remotely as well as effectively analysing all of this data. As one of the first women astronomers in Saudi Arabia, it makes me so proud to be part of this discovery, and I hope that I set a good example for other women there to study astronomy. I dream of starting a research group in Saudi Arabia and collaborating with international researchers to continue working on amazing projects like this. While those are my hopes, I won’t ever forget the feeling of discovering something new in our vast Universe.